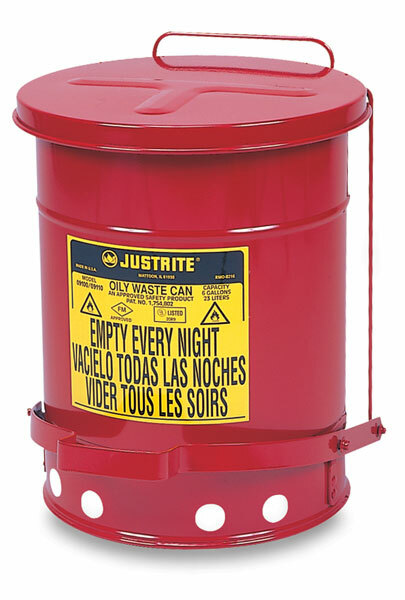 The Justrite Oily Materials Waste Can is essential protection wherever solvent or oil cloths, paint rags, and similar hazardous materials are used. It is ventilated to prevent spontaneous combustion. The self-closing cover is made of heavy terne plate.